To conduct a feasibility and scoping study for the Lough Neagh Co-operation Project. The project was a partnership between three Local Action Groups (LAGS) i.e. Southern Organisation for Action in Rural Areas (SOAR), GROW South Antrim, and Mid Ulster Rural Development Partnership. The overall strategic vision was to improve accessibility to Lough Neagh within and between the three LAG areas, this was done through investigating the assets along the shores of Lough Neagh and potentially working with a cross border partner on this co-operation project. The three LAG areas involved all have different projects, with the commonality being Lough Neagh, and each require different studies to be undertaken in their prospective areas. 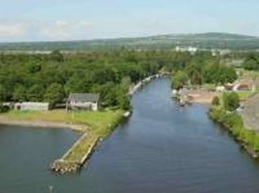 Antrim Boat Club – Preparation of a study to assess the feasibility of providing a safe, secure and functional jetty that can be used for the promotion of water based activities on the Six Mile Water and also on Lough Neagh. It is proposed this new facility will be used by groups for sailing competitions, water based courses and certification, disabled sports activities and functions that run in the boat club on a regular basis. Maghery Country Park – Preparation of a report which identifies various models through which a proposed visitor amenity centre may be operated. Portglenone Angling Amenity – Preparation of a study to assess the feasibility of improvement schemes and significant refurbishments to existing water recreation facilities at Portglenone Angling Amenity.